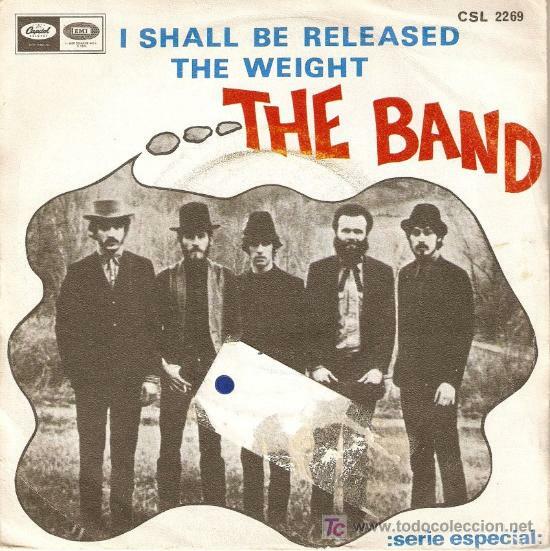 "I Shall Be Released" is a 1967 song written by Bob Dylan. Dylan recorded two primary versions. The first recording was made in collaboration with the Band during the "basement tapes" sessions in 1967, The Band recorded the first officially released version of the song for their 1968 debut album, Music from Big Pink. The song was also performed near the end of the Band's 1976 farewell concert, The Last Waltz, in which all the night's performers (with the exception of Muddy Waters) Joni Mitchell, Neil Young, Neil Diamond, Ronnie Hawkins, Van Morrison, Ringo Starr and Ronnie Wood appeared on the same stage. The song is influenced by gospel music, combining imagery of religious redemption, or release from sin, with implied literal release from prison.